Payday is here, and you want to get that new powerbank or some other piece of tech. Chances are you’d probably find a lot of those items online, at cut prices. Why not try Shopee, who’s currently having a sale now? The Shopee Men Sale is currently running from April 2 – 9, featuring tons of gaming, tech, and all sorts of other geeky things, among other things. This will all culminate in the massive Shopee Super Men Sale on April 10, where you can find even bigger discounts and more items on sale! You might’ve participated in the Gamer Sale from April 2 – 3, featuring brands such as Qisahn, Logitech and ASUS with attractive deals for all your gaming needs. The next notable themed sale will be the Techie Sale happening from April 6 – 7, with top tech brands such as Dell and Philips providing you with even more options such as power banks, PC monitors, to spruce up your workspace. There will be Time-Shared Vouchers which will be released at specific times during the day for you to redeem and grab even bigger discounts for your purchases. If you’re an even bigger sucker for massive discounts, why not try your hand at getting the King Voucher? Simply share the Shopee Facebook post of the day to as many friends as you can to stand a chance to win it. 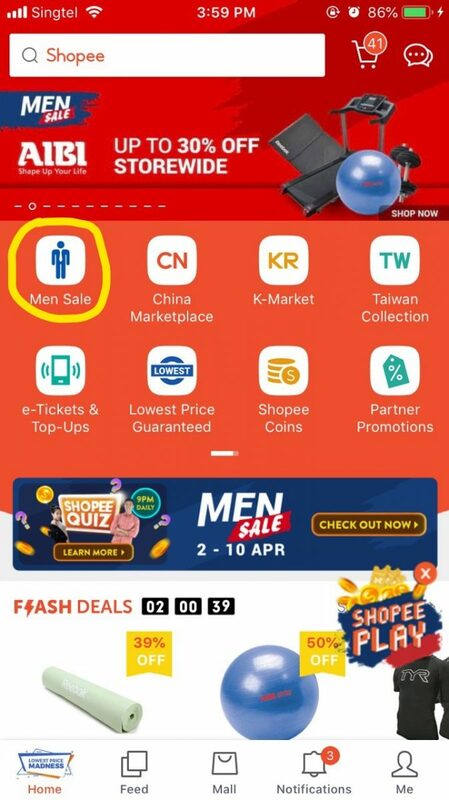 If you haven’t noticed yet, Shopee has actually included a brand-new shopping category on both their website and app, simply dubbed “Men Sale”. 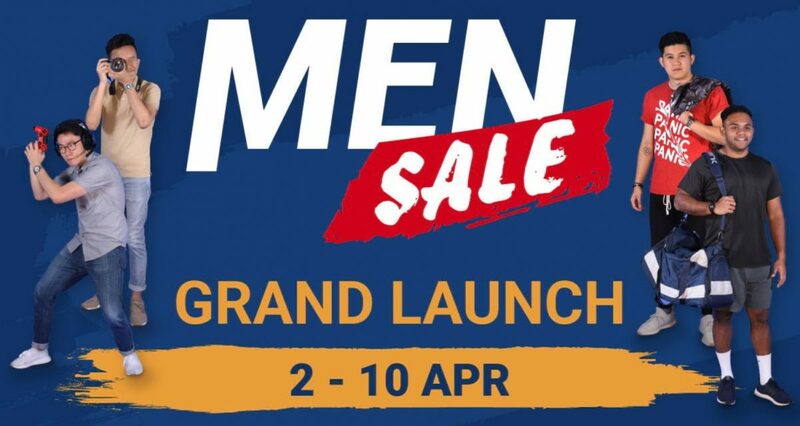 While not to be confused with the April 10 Super Men Sale, this category will feature a curation of top brands, products and deals tailored specifically for men. Now, you’d be asking, why a category and a sale directed specifically towards men? Shopee might have an idea. In an online survey conducted by Shopee, men were 70% more inclined to purchasing their gear online as compared to 2018. Over 50% more men are buying things online instead of at brick-and-mortar stores in 2019 as well, with convenience, higher product variety and value as the main driving factors. Another interesting factor is that more men seem to be shopping online in the wee hours of the morning, with midnight on Sunday and Monday being the most active periods for male purchases. As such, these timed flash sale deals and vouchers during the sale perfect for men (and ladies). Shopee is trying their best to corner this part of the market, and Shopee’s Men Sale is looking to entice everyone to come take a gander, at the very least. If you’re still reading this by now, and are eager to start shopping, let us waste your time no further. Get to shopping at the Shopee website now!